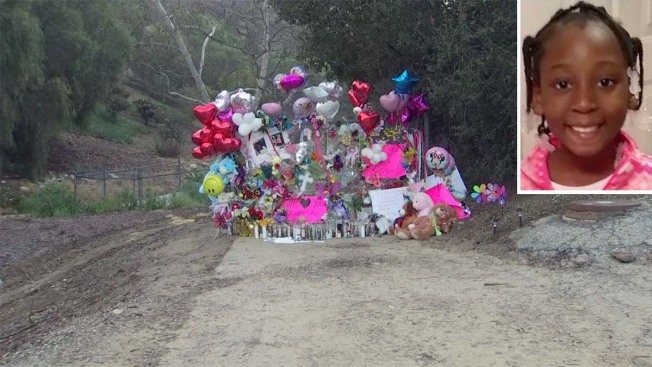 Balloons and other items are left at a memorial for 9-year-old Trinity Love Jones, whose body was found along a trail in Hacienda Heights. Update (Wednesday, 10 a.m.): Taquesta Graham, 28, was charged Wednesday morning with murder in the death of her 9-year-old daughter. Taquesta Graham, 28, was expected to be charged with murder on Wednesday, Los Angeles County sheriff's officials said. There were no obvious signs of trauma on her body. Authorities have not revealed a cause of death or motive. Graham was extradited from Texas to California last week and was initially held on an unrelated warrant. Graham was in custody Monday and could not be reached for comment. Friends and family members described Trinity as a joyful and talented girl who did well in school.